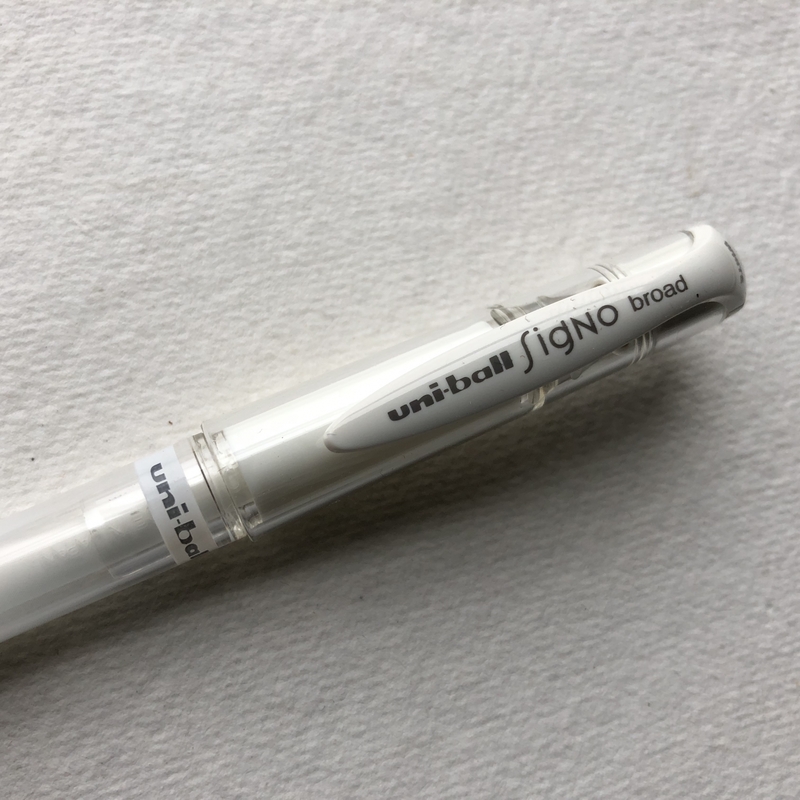 The Uni-ball Signo broad gel pen is a favorite for journaling, marking making and writing on acryclic paint. 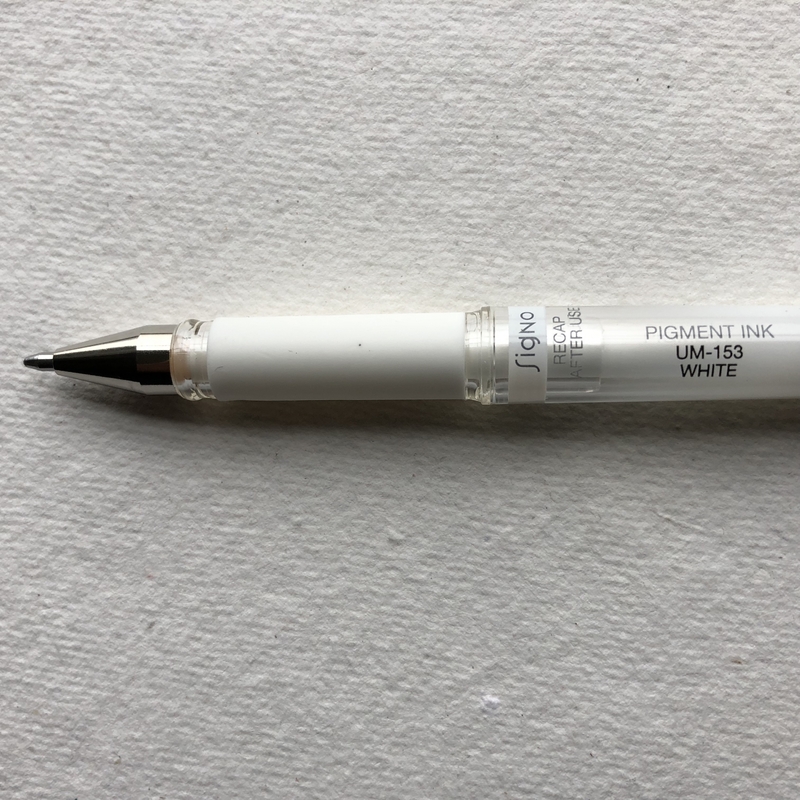 The pigment-based ink is highly opaque and shows up on both light and dark backgrounds. White gel pens are notorious for skipping but I have found this one to write smootly and evenly. The acid-free, archival-quality ink is resistant to water and fading. 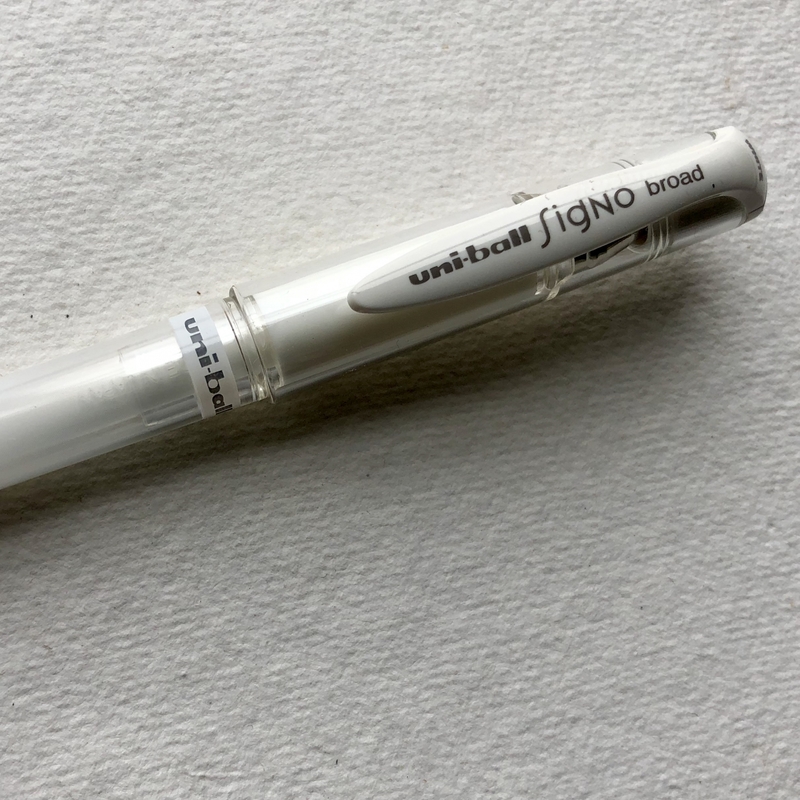 The pen has a 1.0 mm tip and a cap which should be replaced after each use.